A reminder that as a directive of our Governing Body Cycling NSW all riders participating in these rides must have at least a current Cycling NSW/Cycling Australia Silver Ride Licence to ensure everyone is covered for insurance purposes. Departs 7:00am from the front of the Railway Hotel in Hovell St. For those looking for a little extra the 6am group departs from the Olympic Hotel and completes the loop in reverse before linking up with the 7am group. 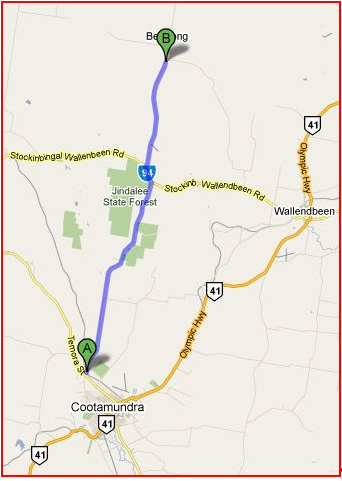 Saturday is a nice 38km loop which takes you south of Coota along the Gundagai Rd, Old Gundagai Rd and Kilrush Rd. Coffee at the Olympic Hotel after the ride is a must! See Club Event section for details of the ride. 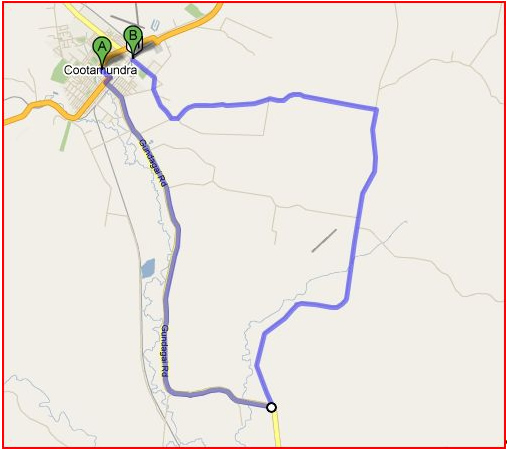 Monday night is a slow 50km loop which takes you south of Coota along Gundagai Rd, up Jugiong Rd, along Old Gundagai Rd until you hit the Olympic Way, then turning around back down Old Gundagai Rd, and right into Kilrush Rd back to Coota. A great wind down from a weekend of racing. The Thursday hit out for some is the ride of the week, mainly because there is a good chance you will consume more schooners after the ride than km’s ridden! For the roadies it is usually a 50km to 70km ride out and back along Berthong Road, with the pace turned up on the homeward leg. For the mountain bikes it is 2 laps around the track located at the back of the Golf Course, which has a fantastic mix of single track and some nice flowing open runs. On completion training tactics and rider ability are discussed well into the night at the Olympic Hotel.